If you are considering counselling, particularly for the first time, you could find yourself overwhelmed by all the different options available to you. Conventionally when people imagine counselling they might envisage two or more people sat in a room conversing. However modern counselling takes many forms and one such form is email. Perhaps you have just stumbled upon this article and know very little about how email counselling actually works in practice. If that is the case, you may very well be asking the above question and hopefully this website and my various articles will shed some light on the matter and help you determine the answer. There are a number of practical advantages to using online counselling which will be discussed in a different article. There are also therapeutic benefits from email counselling to consider and in this article, I will be looking more closely at these. 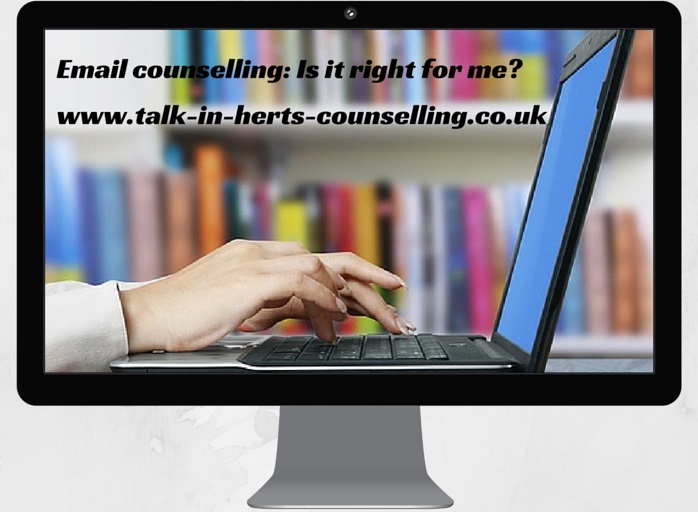 One advantage of email counselling is that it gives you the opportunity to record your thoughts in words which can be revisited again in the future for further reflection. This can help you to chart personal growth and understand changes in your attitude and self-awareness over time. From a practical viewpoint, digitising your words also enables you to edit what you have written without having to start again from scratch. Of course you may prefer not to make alterations after you have written an email and that is absolutely fine too. And please remember that spelling and grammar are not important – you aren’t writing a covering letter for a job application, or sitting a formal exam. “Why would I share my private thoughts with someone else through email?” You might ask. Working with someone else in email counselling, can help you to be more focused than you might be just writing for yourself. When writing your email you are aware that someone else will be reading what you have written. The idea is that you would form a connection with the person you are sharing your writing with and feel safe enough to share your thoughts with them. Within this confidential relationship, you can tease out your thoughts and feelings. With an experienced online counsellor, you may wish to work through some therapeutic writing tasks to help you to gain insight and deeper understanding of yourself and your issues. Or you may prefer just to offload on to someone who you know will listen and respond empathically without judging you. So, what is your goal in having counselling? • Is it to make changes in your life? • Is it to understand yourself better and gain self-awareness? • Is it to get things clear in your mind and thus solve a problem? • Is it to help you to make a decision? • Is it to come to terms with something? Writing in an email can be used to get thoughts clear in your mind. If you allow yourself to relax and be mindful and then write, the benefits can be amazing. It can give you the time to organise chaotic thoughts. Sometimes thoughts can go rushing through your mind and get jumbled up with other things that bear no relation to the issue you are trying to deal with. At other times if you are anxious your thoughts can become fixated and the same thought will go round and round in your mind and it becomes difficult to think about anything else. Email counselling and writing in general, can be a way of getting something out of your system. If you think you might like to give it a try, have a look at our pages on online counselling and then contact me using our contact form.